Free for SNAP eligible attendees! 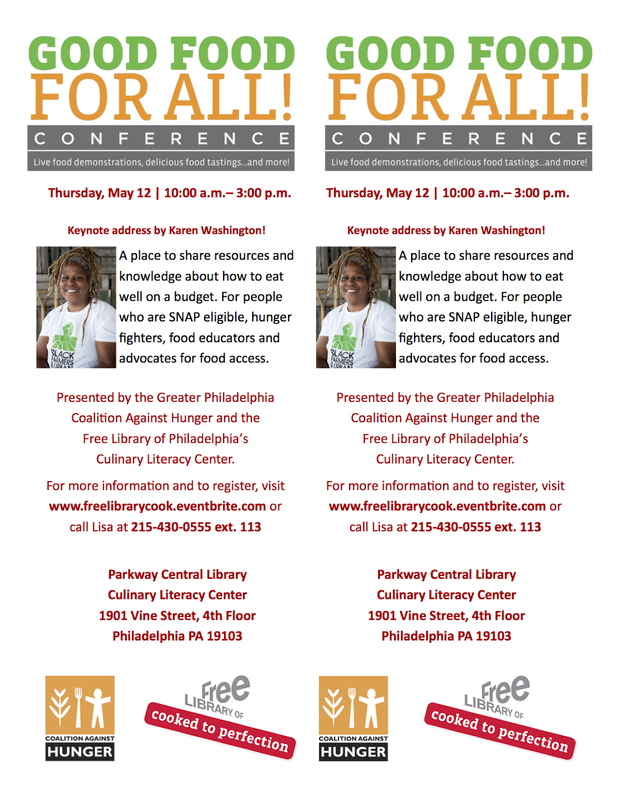 The conference brings together 150+ SNAP recipients, volunteers, community members, hunger fighters, farmers, nutritionists, educators, service providers and other partners, to share knowledge and resources. 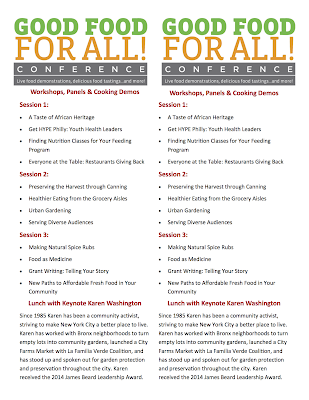 Choose from 12 workshops, panels, and cooking lessons, plus lunch with keynote speaker Karen Washington, and shared resource tables. 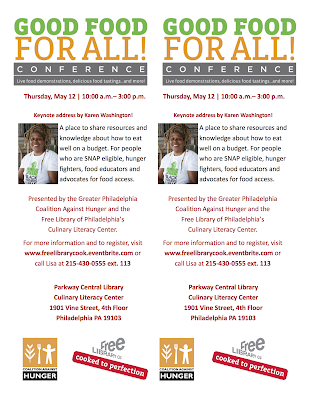 This event sold out last year so we encourage anyone interested to register asap. 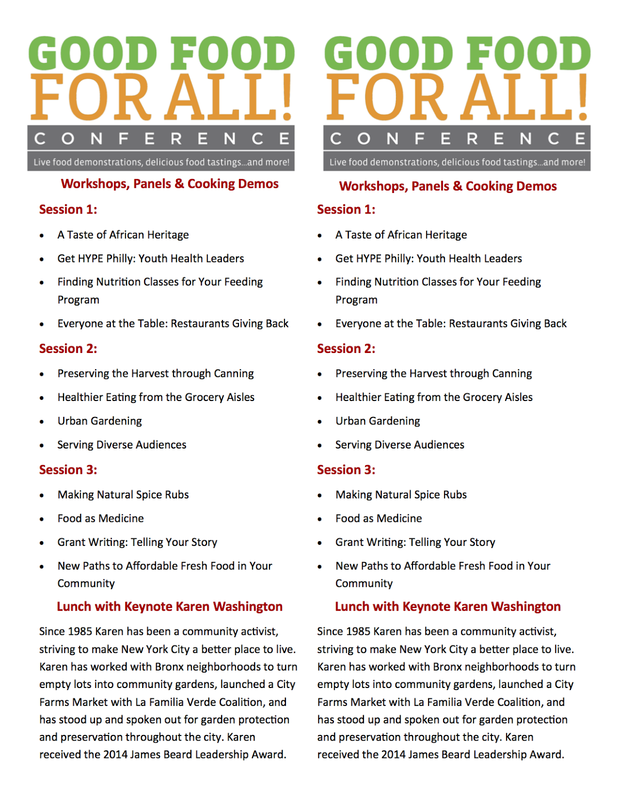 More details about the sessions are in the attached flier and the link above. Those without internet access can register by phone.